Students in Junior & Senior High School will work on creating projects from sketch or pattern to finished garment. Projects created in this class used to create & enhance fashion portfolios that can be used to get into specialized high schools & universities. 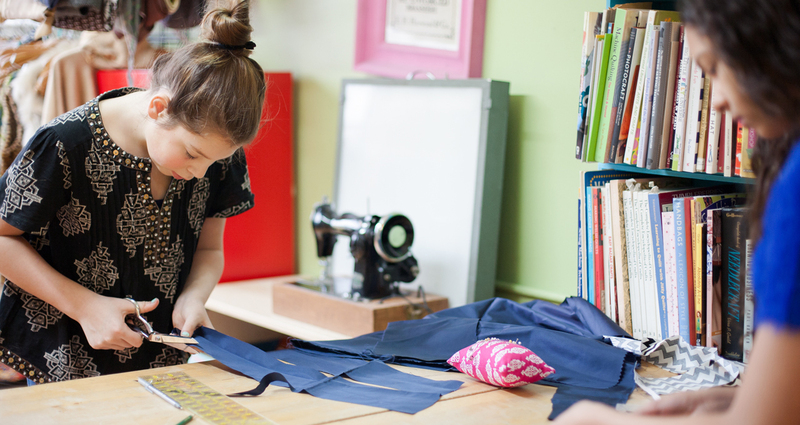 The class will allow students the opportunity to develop their fashion design sketching & construction, as well as build their fashion portfolios for enrollment in high schools with a design focus, or colleges requiring a fashion/sewing background for entry. Every student works at their own pace. Beginners ALWAYS welcome! More advanced skill will be taught to more advanced students. For more detailed schedule information, check out the schedule tab. We have 3 different sessions each school year Fall, Winter & Spring. If a session has already started and you'd like to join late, this may be possible if we have space available.